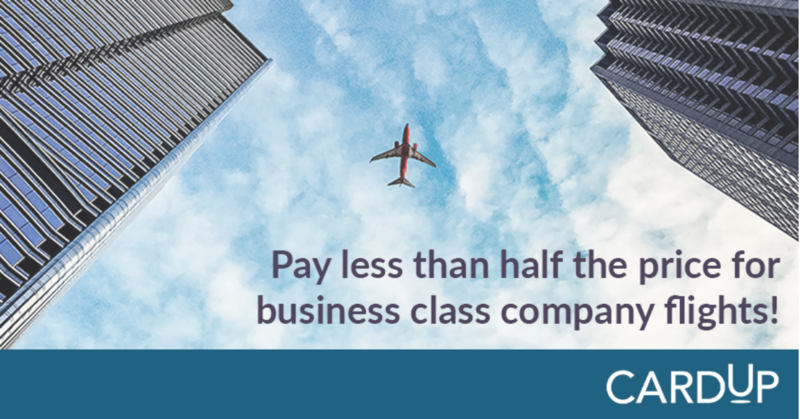 Digitise your business payments and save over 50% on company flights! Flying for work can be tiring at times. With packed schedules and meetings planned throughout the trip, it is no wonder most businesses opt for a business class flight for their employees, giving them the proper rest they require – and this wouldn’t come cheap, especially for long-haul flights. A business class flight for two employees to New York will cost companies an average of $14,000, or almost 350% the price of two economy class flight tickets! This is a big difference and an expenditure that most companies especially smaller SMEs – might not be willing to spend on. But what if we told you there was a way to get affordable business class tickets for our company, and at the same time improve productivity through tech tools that digitise your business? Yes, this isn’t a trick – you and your colleagues may never have to take an economy class flight ever again. The solution lies in leveraging frequent flyer miles and the fact that many credit cards allow you to earn miles on all your card spending. We’re not suggesting you start spending additional thousands of dollars a week, but to use your credit smartly and for regular business expenses that you might not actually know that you can use your credit card for. There are many air miles credit cards available and you’re probably wondering which one would be the best for you. 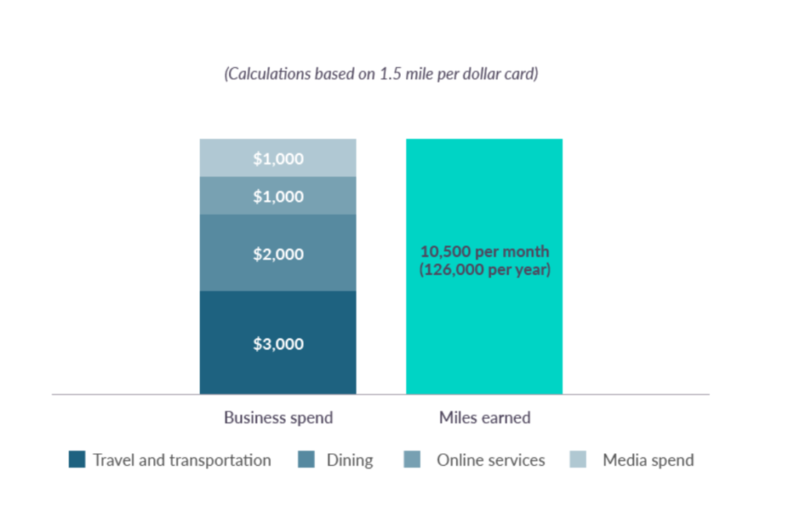 To get the most out of every dollar you spend, look for credit cards that offer the most number of air miles for every dollar spent. But how about your biggest business expenses – payments to recipients that don’t accept cards? All businesses also have regular payments that cannot be made by credit card – these are usually your main overheads and are significantly larger and recurring in nature. These include your rental, payroll, supplier invoices and more – usually paid via GIRO, cheque or bank transfer. This prevents us from being able to take advantage of the credit card rewards for these big payments that we’re so used to. With a credit card enablement platform like CardUp however, you’ll be able to make these payments through your credit card – your recipient doesn’t even need to know as they’ll simply receive the payment as a regular bank transfer. The platform allows you to leverage on digital means to save your business a lot of time and money, by allowing you to automate your recurring payments in advance as well as earn air miles on your business spend. Now you can increase your credit card spend without having to spend more money than you already do. This lets you earn even more miles on these expenses that were previously paid through cash, cheque or bank transfer, allowing you to rack up even more miles! Set up your free CardUp account in seconds. No registration is needed by your recipient to receive payment. Select the type of payment you want and choose to pay with your preferred credit card. You can schedule payments far in advance, make a one-off payment or schedule recurring ones. Three business days prior to the payment due date, your credit card is charged for the payment plus a CardUp fee of up to just 2.6%. Your recipients receive the funds by bank transfer on the due date. Earn miles for every payment on your credit card! 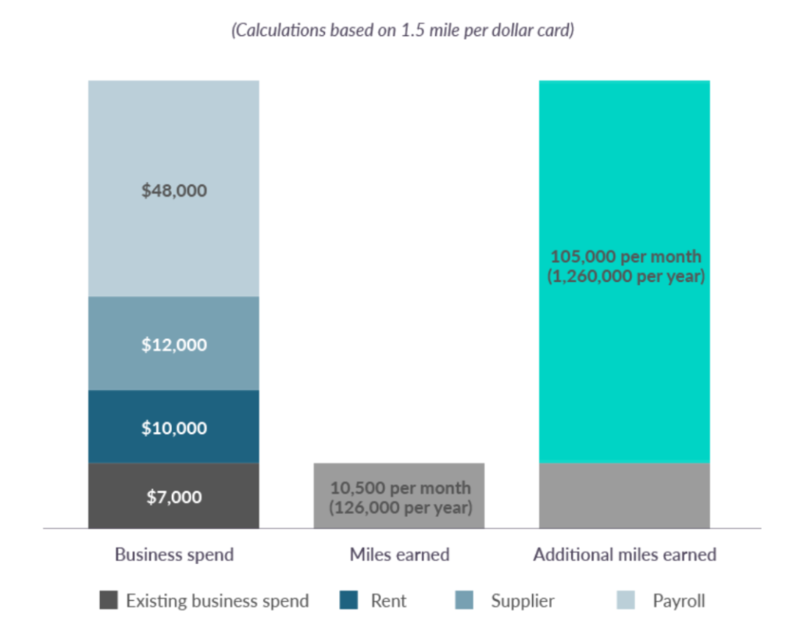 The number of air miles that you earn by putting these expenses on your card can far outweigh the nominal fee that CardUp charges for your transaction. Jim has expenses for his business averaging S$50,000 a month when adding on his rental, payroll and supplier invoices. By putting his expenses on his credit card which earns 1.4 miles for every dollar he spends, Jim is able to earn 827,300 air miles a year. This helps the business save on travel costs by leveraging their credit cards for these large, recurring payments that are to be made anyway! BLOCK71 is an initiative by NUS Enterprise in collaborative and strategic partnerships with established corporates and government agencies. It is an ecosystem builder and global connector which catalyses and aggregates the start-up community, as well as spearheads new initiatives and provides mentorship and growth opportunities in local and global markets.